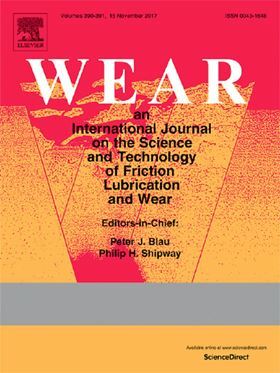 The research article 'Effect of Surface Texture on Wear Reduction of the Tilting Cylinder and the Valve Plate for a High-speed Electro-hydrostatic Actuator Pump' will be published in Elsevier journal Wear. High-speed axial piston pumps are the key components of electro-hydrostatic actuators (EHA). Pumps of this kind have been used in large civil aircraft like the Airbus A380. Preventing the tilting micro-motion of the rotating cylinder in an EHA pump is an important issue for reducing wear and prolonging their lifetime. Aiming to reduce the cylinder tilt behaviour, a laser surface texturing (LST) technique was applied to the steel valve plate, which is in contact with a brass cylinder. An experimental investigation was conducted on an EHA pump prototype running at 10,000 r/min and 28 MPa. The mechanical and volumetric efficiencies of the prototype equipped with the textured valve plate are improved by about 2.6% and 1.4%, respectively. Wear mechanisms of the tested components are analysed comprehensively to elucidate the cause for cylinder tilt behaviour and the functional mechanism of surface texture. The surface texture is found to increase efficiencies by reducing wear and the cylinder tilt angle. The cylinders are prone to tilt towards the high-pressure side, and the most severe wear of the valve plates does not occur on the contact regions near the cylinder outer edge on that side. Finally, implications for designing surface textures for the cylinder/valve plate interface are described. A new approach to a rotodynamic pump design is presented. This paper analyzes the influence of churning losses on the thermal-hydraulic model. Cavitation is a well-known phenomenon in hydraulic machines, but its influence on volumetric pumps has rarely been studied.